This post features a different kind of series than has been written about before. While each series so far in question has been tied together visually across the entire series, the Pantheon Fairy Tale and Folklore Library is less obvious. 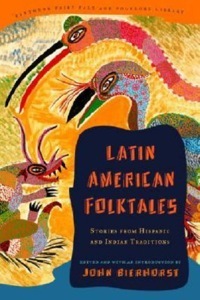 Publishing about one new volume each year between 1978 and 2002, Pantheon Books cover stories from folklore of major cultures in history. 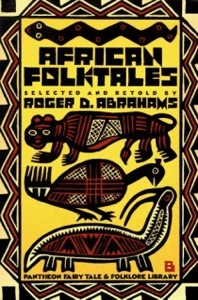 The covers are tied together as a series by reflecting the design and art from the culture the stories originate from in each book. 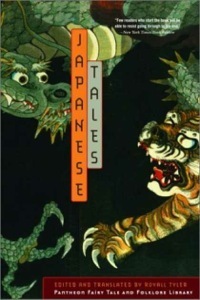 These range from illustrations of animals (Japanese Tales, African Folktales) to depictions of great heroes and kingdoms (Russian Fairy Tales, Folktales from India). 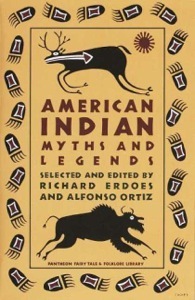 Some covers have changed as the title is reprinted; some of the most recent are more photographic in nature. 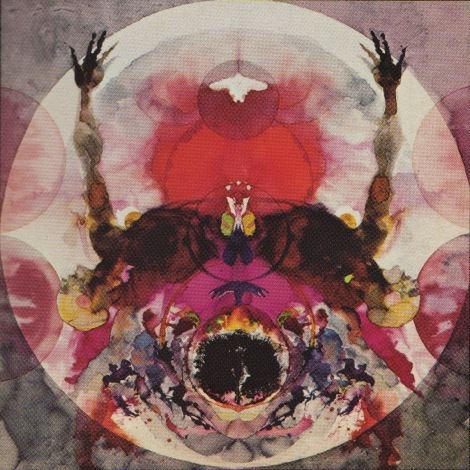 Lists of the series can be found here and here. I continue these posts by looking though my collection of books. My fondness for science fiction will become apparent as I create more entries. 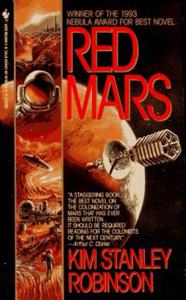 But I begin with Kim Stanley Robinson’s Mars series, all written in the 1990s. Beginning with Red Mars in 2026 with a one hundred person crew set to colonize Mars, the stories are a series of personal accounts of the 200 years of terraformation and widespread inhabitation of the planet. The colony becomes one of great technological advancement, almost utopian socially, while the planet Earth suffers from overpopulation and ecological instability. 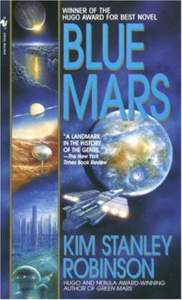 The titles also describe the state of Mars has been terraformed in each novel. 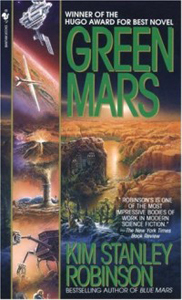 Red Mars begins with the barren, cold, iron rust world of Mars as we know it; Green Mars is a transition period of introducing ecological systems; Blue Mars concludes the series with an ocean-covered, life-sustaining, Earth-like Mars. The last volume, The Martians, is a collection of short stories and poetry of the Martian inhabitants. Although I have only read a portion of the first book, I eventually bought this series and remember how inspiring it looked when I first saw it browsing my local libraries shelves as a young child. I can’t help but wonder if the well-tied together look and feel of the covers are what sparked my interest to read them. The typographic system is consistent: a condensed version of Avant Garde Gothic that compliments the futuristic, technological aspect of the story. Each cover features paintings by Don Dixon, including a group of vignette images inspired from the stories in a column left of a dominant image depicting the state of the terraformation of Mars in the novel, complimented by an appropriate color scheme. Looking at the book covers together provides a captivating visual timeline for the potential reader of the events that unfold through the series. It’s about time I get back to a schedule of at least one post a week, although it can be difficult to decide what to write about next. 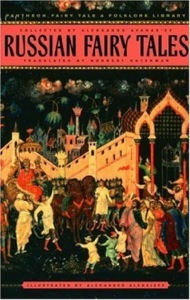 This post features out-of-print mass market paperbacks published by Mentor Books in the early 1980s of Dante’s classic The Divine Comedy. It comprises three parts where Dante writes about his divine travels, of which the first, The Inferno, is the most widely known and studied. Dante begins a descent through Hell with the Roman poet Virgil as his guide, then climbs the mountain of Purgatory where people atone for their sins in The Purgatorio, and at the top he is brought a vision of heavenly paradise and all its sections in The Paradiso. There have been numerous publishings and translations of The Divine Comedy, graced with many illustrative interpretations by the likes of artists Gustave Doré, William Blake, and Salvador Dali. The used book store where I’ve worked at for years had these particular translations by John Ciardi and the covers drove me to purchase them. Unfortunately, these dramatic illustrations — most likely paintings —are not credited in any of the books so send a line if you happen to know. Each painting features loose human shapes relating to the setting of each part of the story. Seen below are close-ups of each of these covers to show the detail in these expressionistic paintings. The cover for Inferno is grim yet passionate, creating a loose depiction of a morbid skull from the various shapes and patches of color. 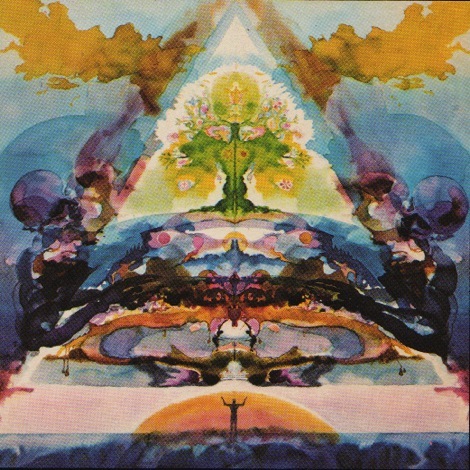 Purgatorio’s cover is in the shape of a mountain, dominated by blue and orange hues of emotion and hope, as the Earthly Paradise sits atop the summit. 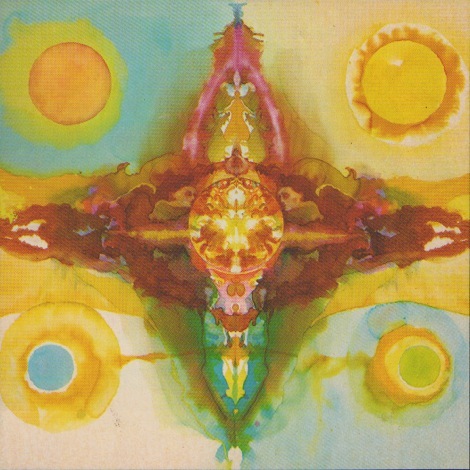 The last cover for Paradiso is marked by a bright palette of color and light to symbolize the good divine nature of heaven. The symmetrical composition of all three of these paintings also conjures up Rorschach inkblots, which I believe could be an intentional suggestion. The typography and layout is appropriately consistent among the three books. I am one of those people who get into things after they become popular and the Myst franchise is no exception. Ever since I played Myst, which in the early 1990s was a bestselling adventure computer game at a friend’s house, I became enamored by the simple gameplay immersing me into a mysterious world that tickled my imagination and challenged my puzzle-solving skills. As a middle schooler, I was more inclined to be reading non-fiction than any work of fiction, but upon finding a series of books at the library that had been written around the Myst series by the creators, I just couldn’t help but check them out for myself. 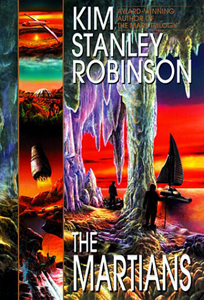 Their plain worn cover design, not unlike the books that can be found in the Myst games, stood out on the shelf from the illustrative depictions found on the covers of most fiction books. I am surprised more book publishers do not take this approach to make the cover of a book ‘feel’ like it was extracted from the story and culture within the pages themselves, but then again it all is a matter of what is best for the marketing of the book. 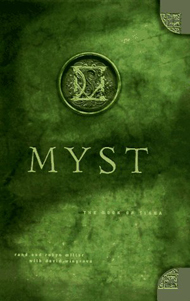 Authored by Rand and Robyn Miller with David Wingrove (famed sci-fi author of the Chung Kuo series), each of the three books in the series was published in hardback by Hyperion Books in hardcover yearly from 1995 to 1997 titled Myst: The Book of Atrus, Myst: The Book of Ti’ana, and Myst: The Book of D’ni. These novels were meant for fans to read between the release of the original game and the release of its sequel, Riven. They worked as a back story to the series and, while not giving away plotlines or answers to the puzzles in the games themselves, gave substance and intricacy to the worlds depicted in the games. When looking at the covers, although they are not designed to perfectly match the layout of the trilogy, it is not a mistake to assume that they all belong together as part of the same series. 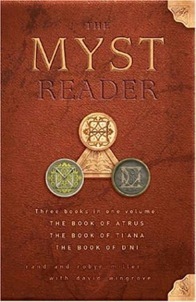 Each volume’s cover contains the word ‘Myst’ boldly burnt above or below a decorative medallion inscribed with a number glyph from the D’ni, the fictional culture surrounding the series. The plain but worn-textured backgrounds reflect the mystery and history behind the stories in each novel. 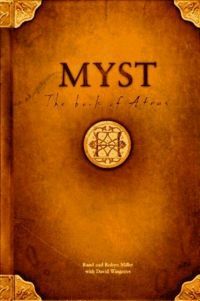 The original hardcover editions have been long out of print but the books were eventually published as mass market paperbacks around the end of the 1990s and in 2004 an omnibus containing all three books in paperback, titled The Myst Reader, was released. 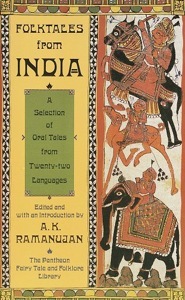 The cover is faithful in the design and spirit of the three novels, with the overall color similar to that of the first book. 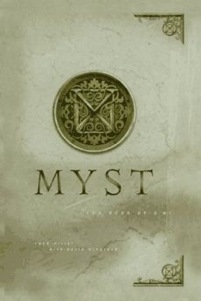 After the release of Riven in 1997, the Millers planned a forth novel, titled Myst: The Book of Marrim. The initial manuscript over time was rewritten substantially at least once and has yet to even be given any hint of a release date. If it ever were to come out, I wouldn’t be surprised if the look and feel of the cover were to continue where the first three novels left off. It’s about time to add a new category to the mixture of design series featured here on Design in a Series. Chronicle Books have always been a favorite publisher of mine, varying the subjects of their publications and having exquisite design from cover to cover. They recently published a set of travel books featuring luxurious hotels and locations from around the world, titled Overnight Sensations: Hotels for the Discerning Traveler. The covers for these three books $100 USD each are well-unified by the breathtaking photographs and consistent typographic layout. The author of the series is world-renowned hotel reviewer Philippe Kjellgren, who has done his fair share of traveling to over 100 countries in his lifetime. Skimming through the photographs of these will instantly transform any reader to the destinations featured throughout these books. Next time you are planning a vacation, you might desire your destination to offer the vistas shared in these pages.